Indeed simplicity can be seen throughout all of the companies products. However, the design elements that they are now know for really became apparent with the introduction of the iMac G3 in 1998 (See Figure 3). This computer launched a revolution in aesthetic-centered engineering where products where designed from the outside in, compared to the traditional convention of inside out. This methodology heavily influenced products such as the iPod (2001) that featured a simplistic dial selector system and the iPhone (2007) that was a combination of personal planner, iPod, computer, and phone with an intuitive touch interface. Ultimately all of these products would undergo a design cycle (Figures 4-5) that would only further demonstrate the power of the aesthetic in creating incredible technical feats within the most simple designs. Apple stated in a 1977 advertisement that “Simplicity is the ultimate sophistication.” and they live true to this statement by continuing to advance their products while maintaining their simplistic aesthetic. As you can see in recent products from other companies (Figures 6-7), the aesthetic has become a recognizable style within the tech industry. 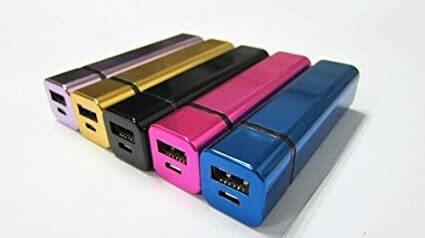 Figure 7: Portable mobile phone chargers with anodized aluminum construction and sleek surfaces. Personally, I admire the power and elegance that is found in simplistic design. I strive for minimalism within all aspects of my life and within my engineering designs. Aesthetics such as Apple’s have inspired me to pursue a career in product design that will allow me to bring the sophistication of simplicity into more people’s lives. Isaacson, Walter. “How Steve Jobs’ Love of Simplicity Fueled A Design Revolution.” Smithsonian.com. N.p. 12 September 2012. Web. 19 January 2016. In additional to minimalist product design, Apple’s aesthetic also employs excellent user centered design. Although perceived as being simple, all of Apple’s products carry some sort of premium feeling (Apple’s “base model” products compete with the high end offerings of most other companies both in computing performance and cost). This results in their software only being demonstrated on adequate hardware, which allows the end user to have a really pleasant product interaction. Previously, it seems like Apple was far ahead of anything that their competitors were offering. Do you think that Apple will be able to continue their innovation of the Apple aesthetic, and continue to offer unmatched products? You gave some great examples of other companies trying to emulate the apple-like design. Great post. Nice introduction to Apple’s aesthetic design style.